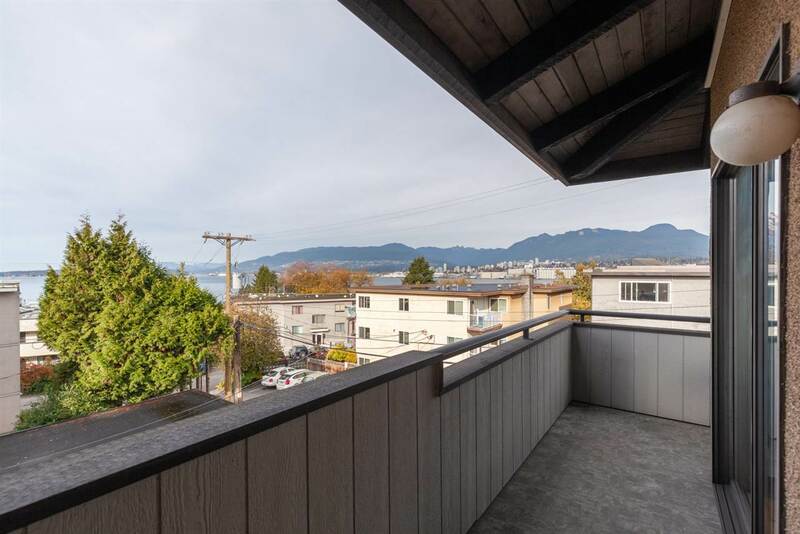 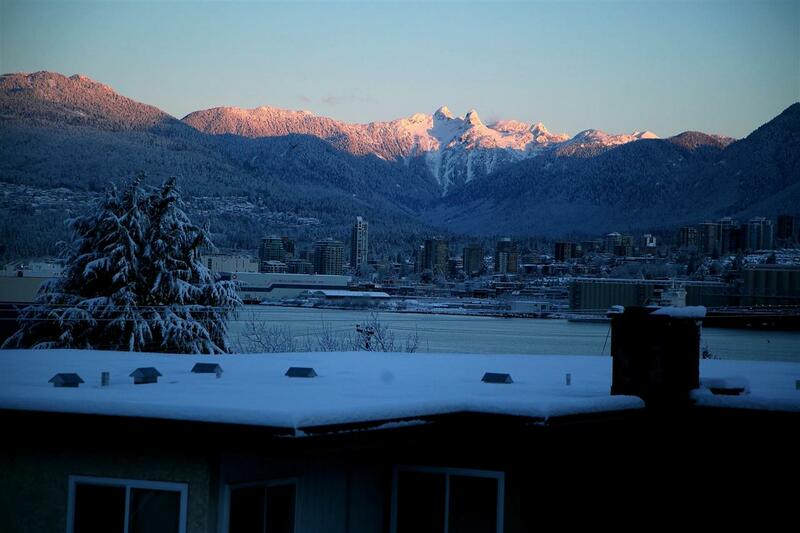 Come and see this bright, spacious top floor NW corner unit with VIEWS! 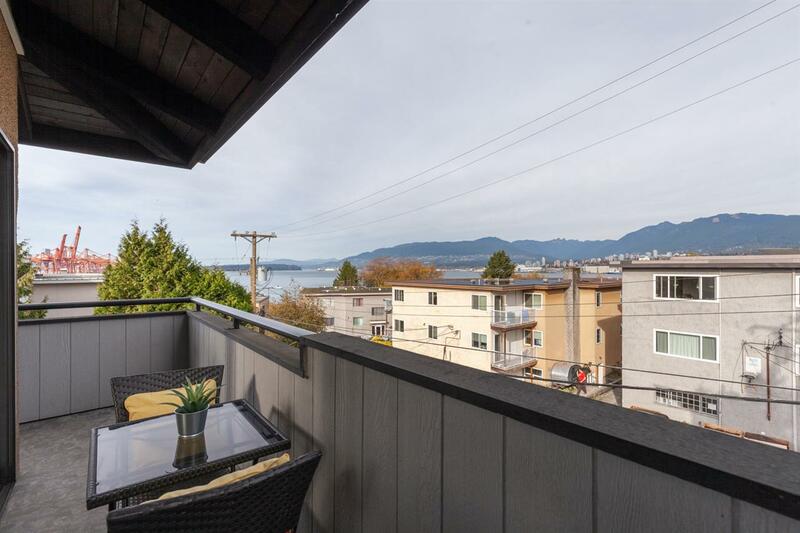 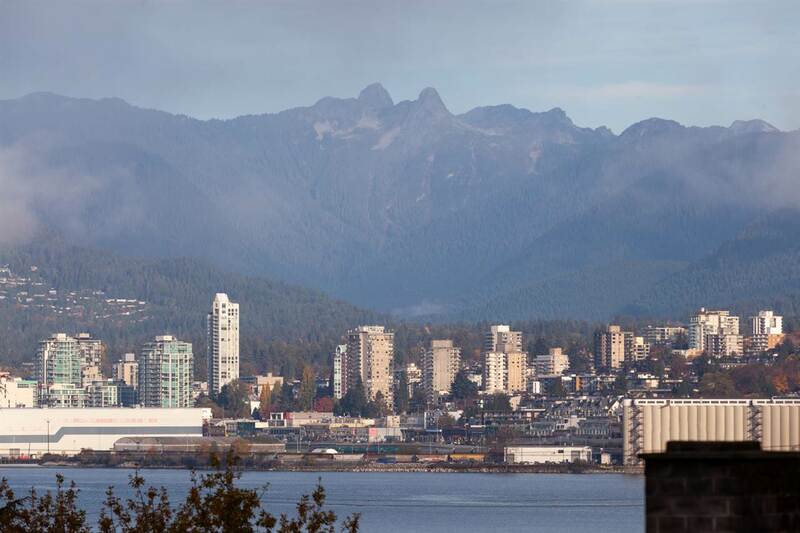 Panoramic vistas from every major room in your home from Coal Harbour to Stanley Park, Lions Gate Bridge and the North Shore Mountains. 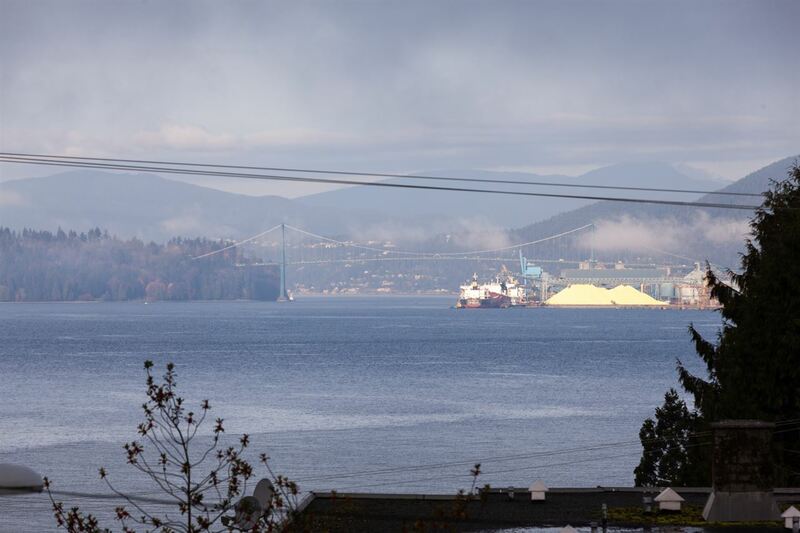 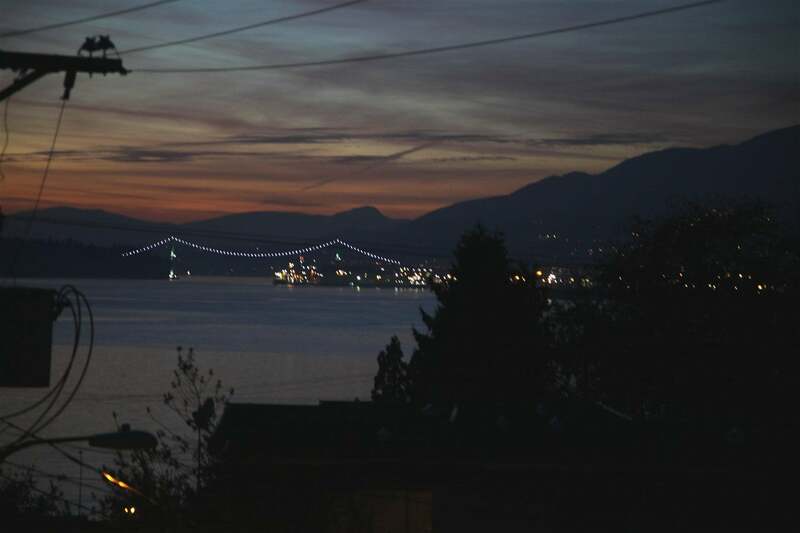 Watch liners, freighters and tug boats cruise the Burrard Inlet. 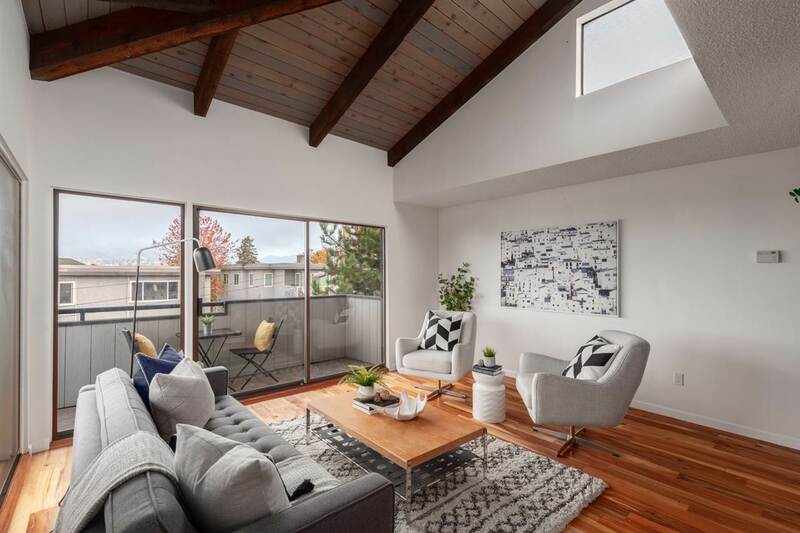 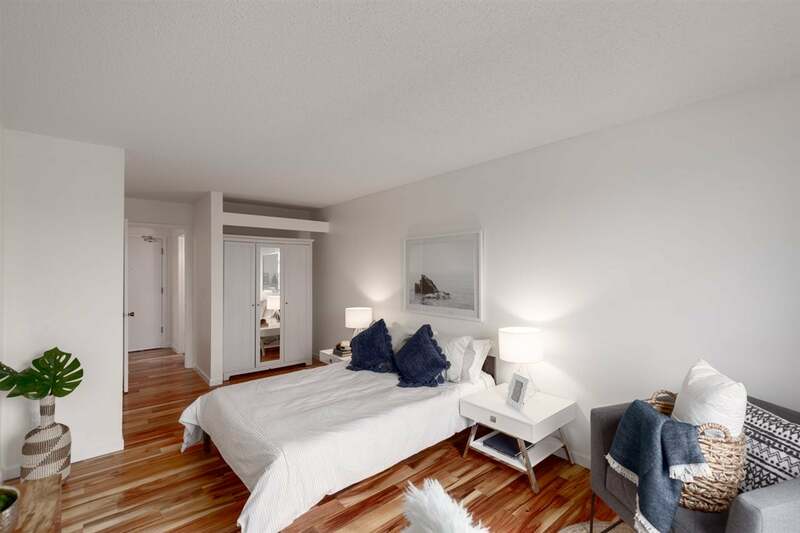 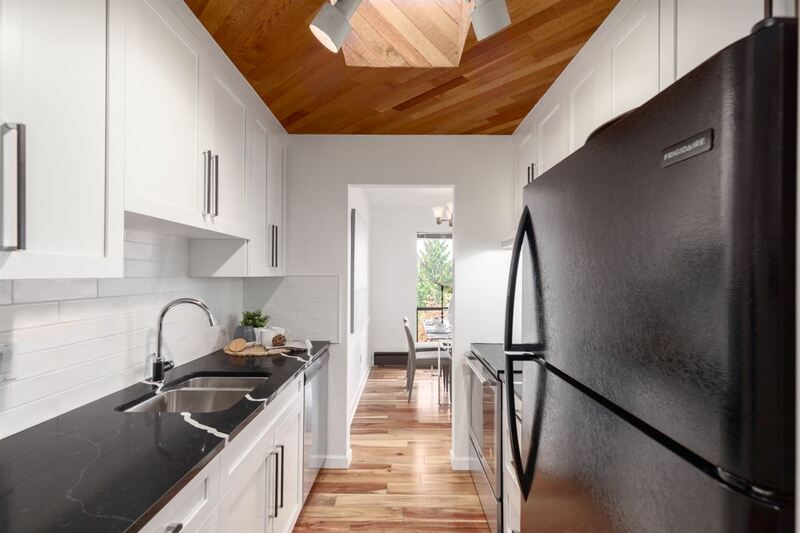 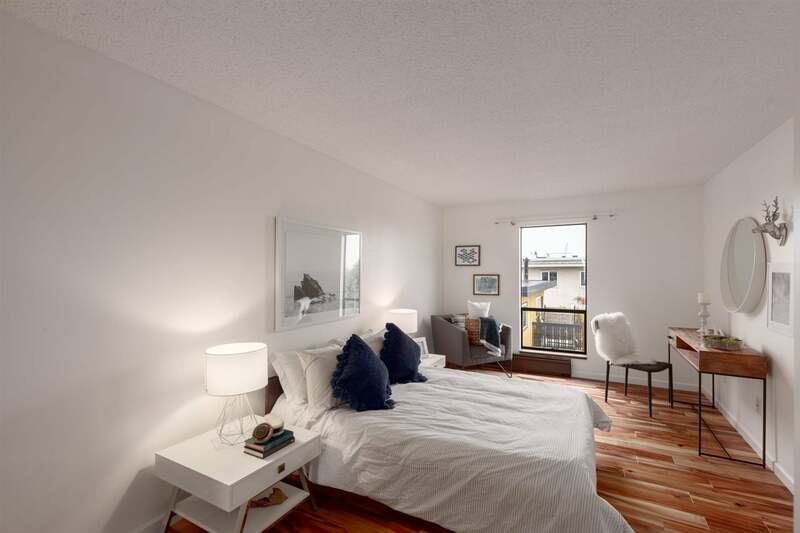 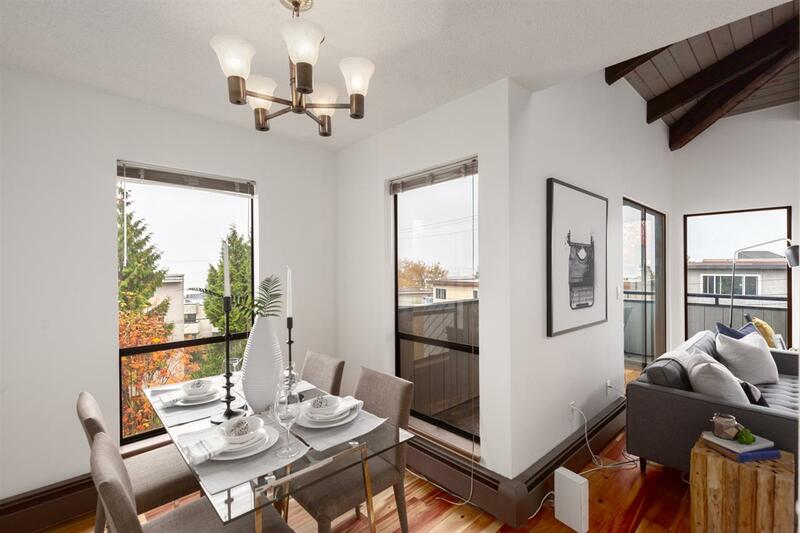 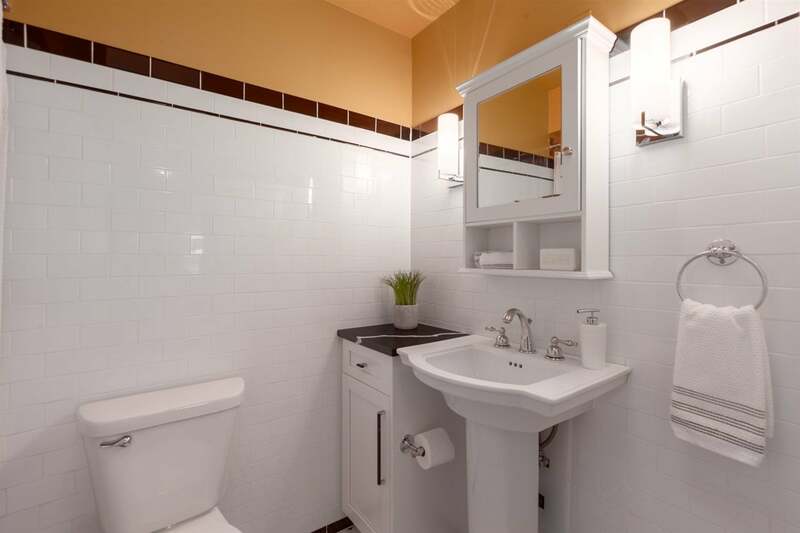 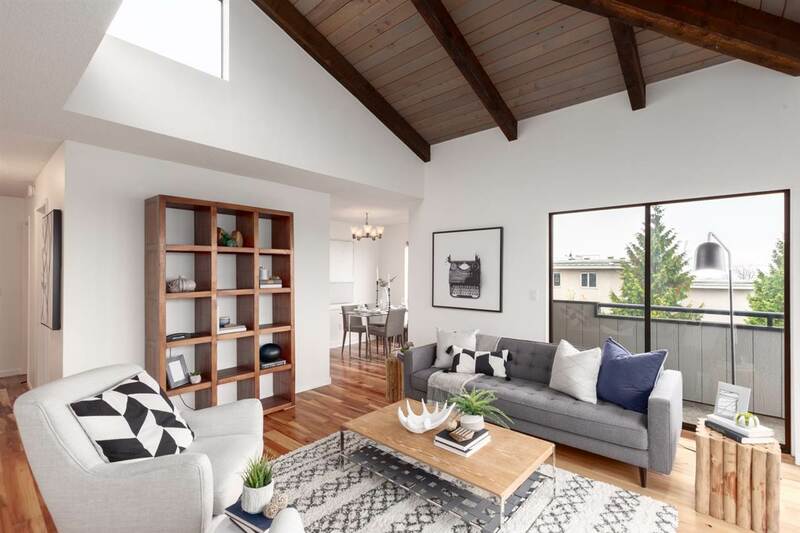 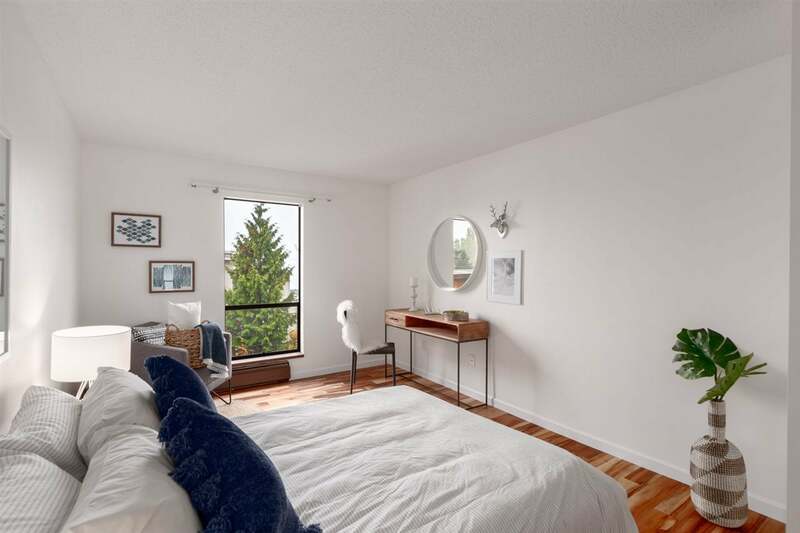 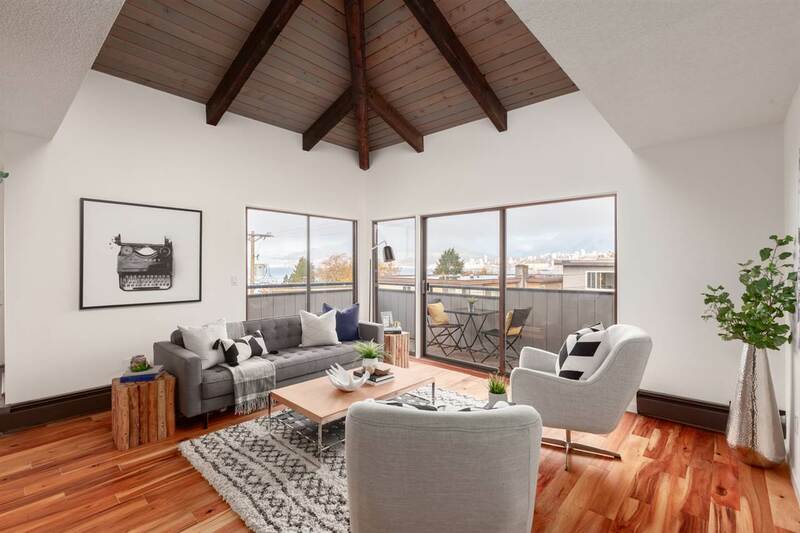 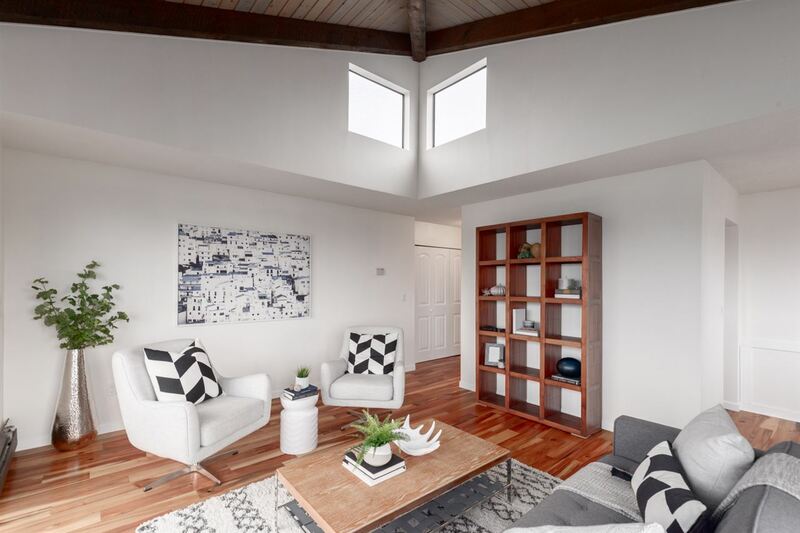 This suite is well-designed and newly renovated with engineered hardwood floors, new kitchen & bathroom, 14' vaulted ceilings, many skylights, and glass patio doors to your wrap around deck. 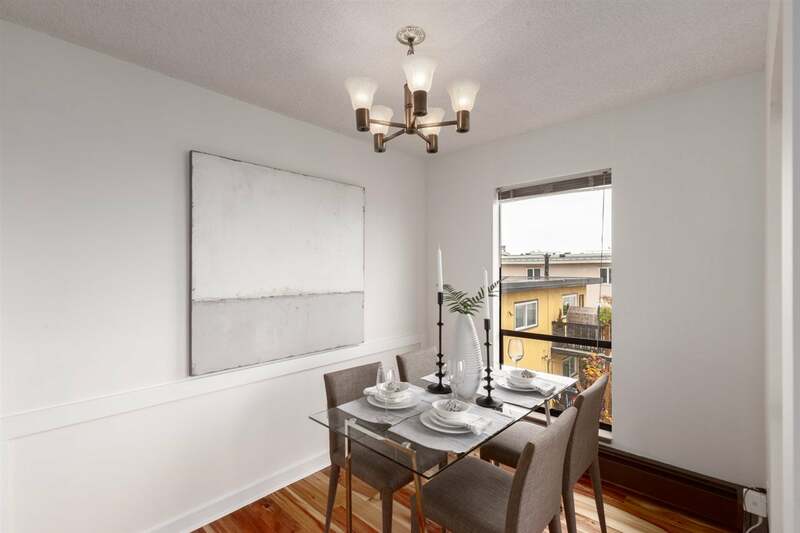 Separated dining area and generous bedroom leaves plenty of flex space for den or nursery areas. 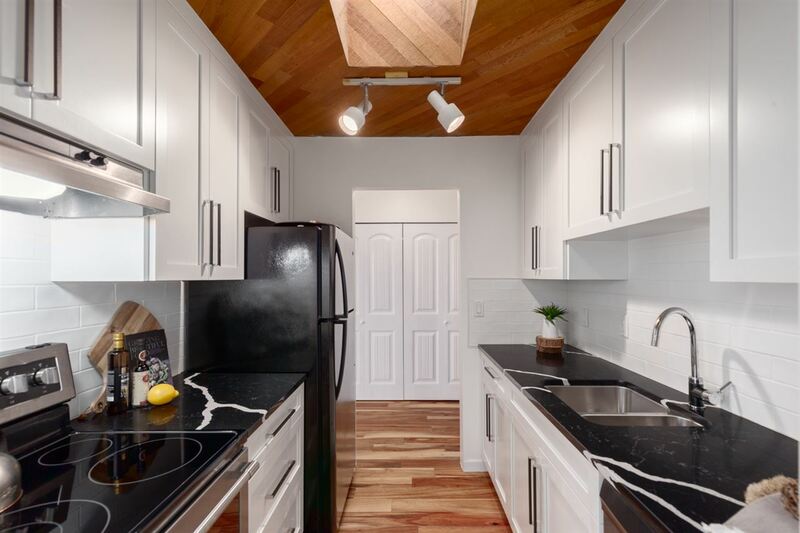 One secure parking & storage locker below. 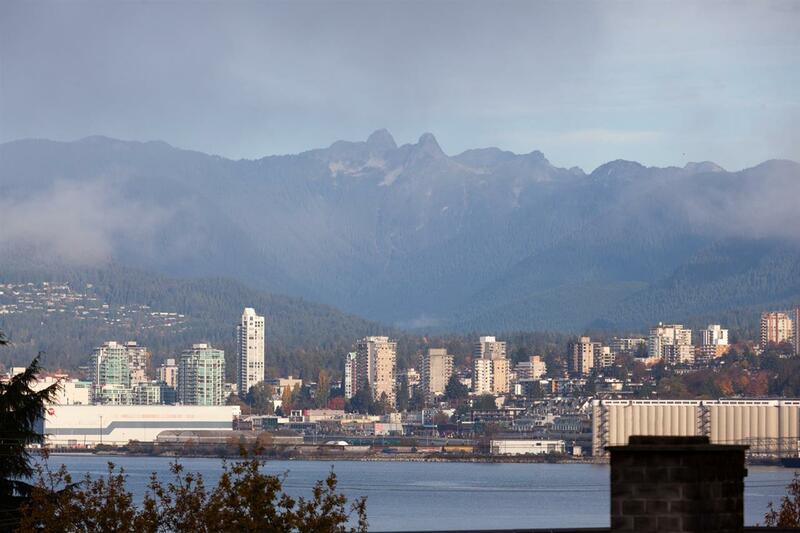 Organized & proactive strata. 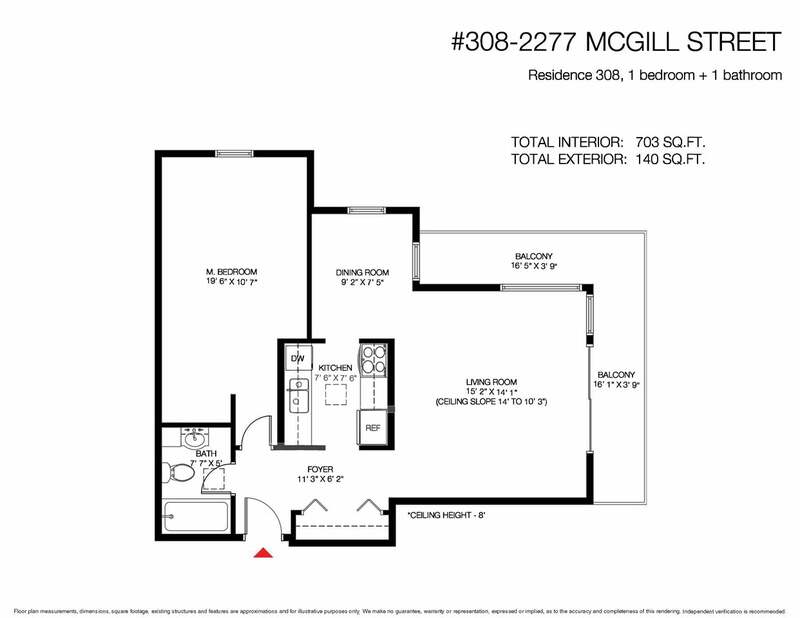 Newer: decks, fence, exterior & interior paint, interior carpets + upgraded elevator.